High Tech Laser & Polishing will reduce your lead times when it comes to welding, polishing and engraving. No need to outsource those services to multiple vendors when we will weld, polish and engrave your component all in one stop. Save time and money by letting High Tech assist you with all of our services. High Tech Laser & Polishing stands behind our work. In business for over 30 years, we will work with you to make sure that you are satisfied at the end of each and every project.  The average employee tenure at High Tech Laser and Polishing is 12 or more years. This does not include years of service at various other shops before arriving at High Tech. Although High Tech Laser & Polishing is centrally located in the United States in a suburb of Kansas City, our customer base stretches from the East to the West coast in the United States. Customer locations extend to Canada, Mexico, and Puerto Rico. Our central location helps you save money with shipping. High Tech operates many lasers with experienced operators running those machines. Polishing personnel are on hand to finish your mold components. We operate two shifts each day to meet your quick deadlines. High Tech Laser & Polishing does not use any acids or chemicals for our engraving or cutting processes. Our work is completed with lasers alone. We have also invested in solar energy panels at our facility to save electricity consumption, aiding in reduced environmental impacts. High Tech Laser & Polishing is continuously looking at ways to have safe working conditions for our employees. We hold each other accountable for maintaining a safe working environment.